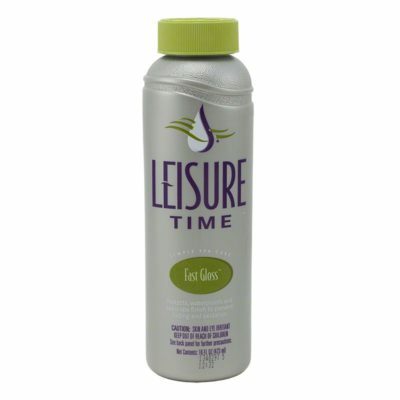 Leisure Time Enzyme is a unique blend of enzymes that breaks down oil, lotions, and organics that give way to ugly scum lines and odors in your spa water. Enzyme is a key component for clear water that helps reduce the need for maintenance of filters and spa surfaces. This product is compatible will all types of spa chemicals and will not interfere with spa filters. Enzyme is compatible with chlorine, bromine, ozone, and biguanide sanitizers. 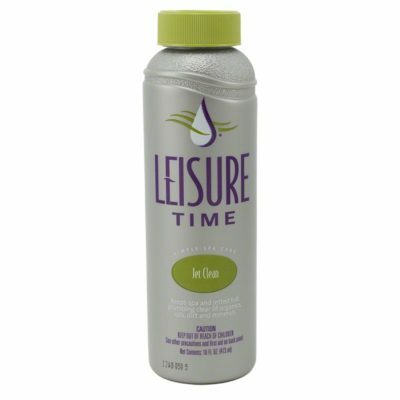 It is most useful if used weekly as part of the Leisure Time Simple Spa Care Program. Use Weekly as Part of the Leisure Time Simple Spa Care Program. 1. Add 1 oz. per 250 gallons of spa water weekly. Add 1 oz. per 250 gallons of spa water weekly to avoid buildup at water line. For cloudy water, add Bright & Clear to increase filter’s ability to rid spa of very small particles. 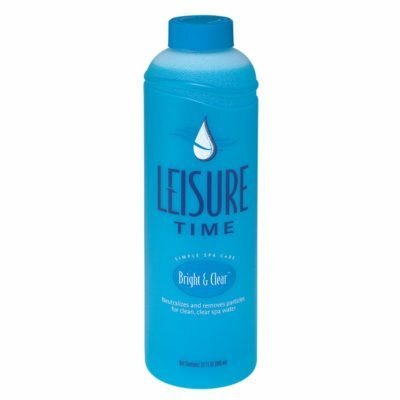 Leisure Time Bright and Clear – 32 fl. oz.